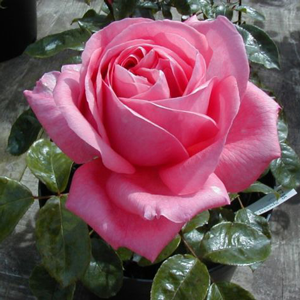 Rose Bush Hybrid Tea Special Anniversary (Pink) is stunning rose and makes a great gift. It has glossy dark green foliage and heavily scented pink blooms. It flowers from July to September.